← The Bugis – were they pirates turned traders? 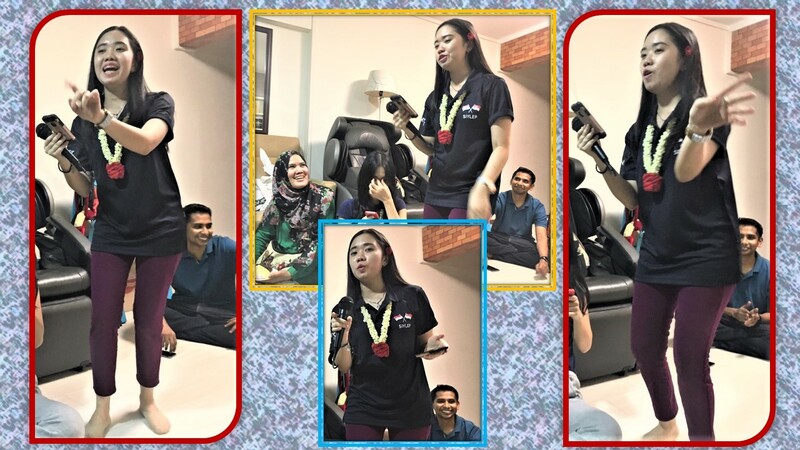 Ratna Widya Iswara, and Alicia Beverly Weley who is Miss Earth Indonesia (Air) 2017 as well as Miss Inter-Continental Indonesia 2017, were among 20 youths between the ages of 22 and 27 who were on a three-day homestay stint with Singaporean families. 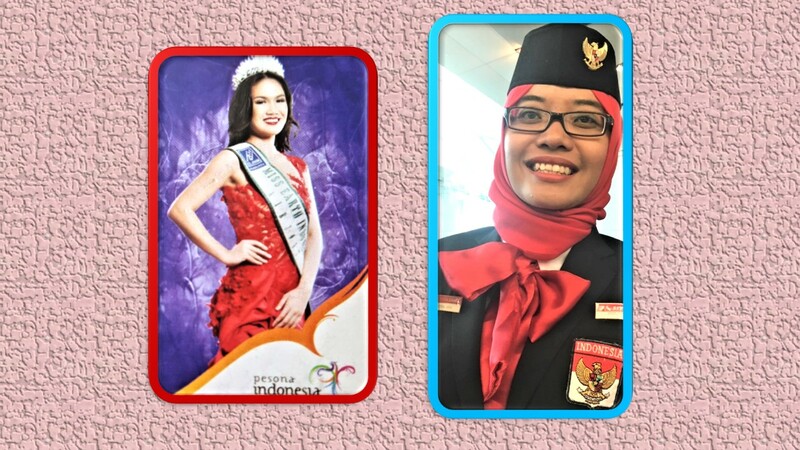 Alicia Beverly Weley who is Miss Earth Indonesia (Air) 2017 as well as Miss Inter-Continental Indonesia 2017 and Ratna Widya Iswara, who became our foster children, are from the Singapore-Indonesia Youth Leaders Exchange Programme. 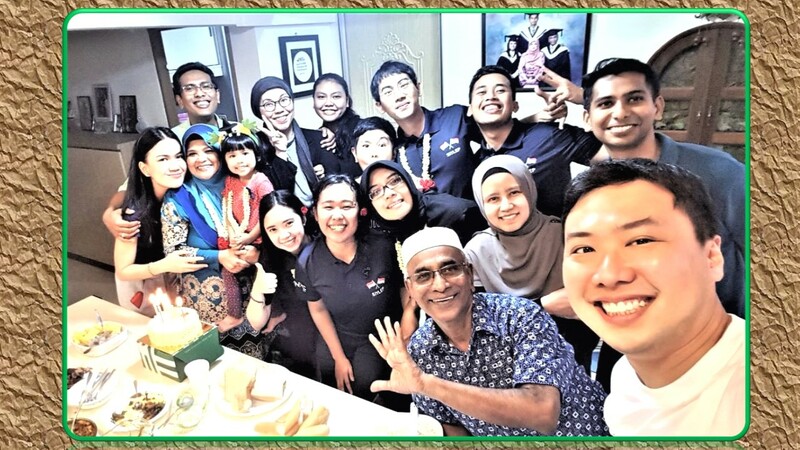 The youths, comprising 10 boys and 10 girls, were in Singapore under the Singapore-Indonesia Youth Leaders Exchange Programme (SIYLEP), aimed at fostering friendship between them and the youth leaders of Singapore. “The main part of the 7-day programme was visits to institutions of learning where they met up with youth leaders and exchanged ideas and experiences. Corporate and cultural visits were also in the programme,” explained Mr Desmond Yew, Homestay Director, SSEAYP International Singapore. 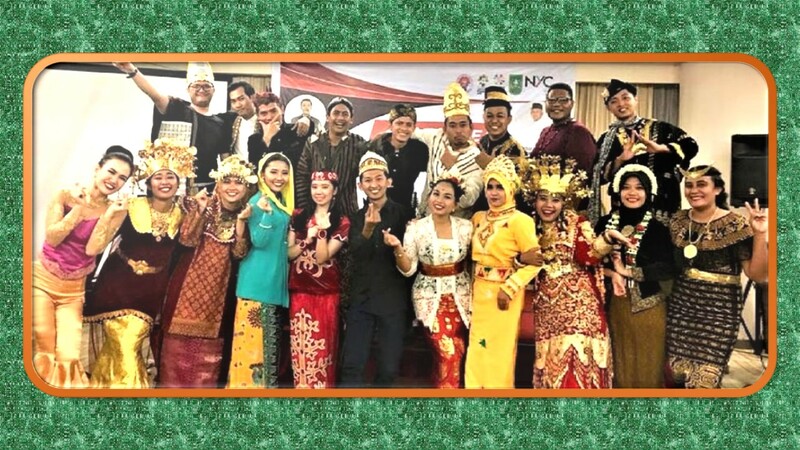 “This exchange leadership programme is the first, and we hope it would be a yearly affair with Singapore youths too being reciprocally invited by Indonesia,” said Desmond. The youths were taken by 10 Singapore families to stay for two nights in their homes. When hosting these youths from neighbouring countries for the homestay stint, we are not only extending our friendship to the countries from where they come but we are also helping the youths to develop broadmindedness and equip them with knowledge and experiences of our local home environment and of our multi-racial, multi-cultural harmonious setting. As much of the outings was already included in the official programme organised by the National Youth Council, we took six youths (those hosted by Mr Desmond Yew, Ms Sri Zuraida and me to Little India where we visited Mustaffa Centre, drank Indian teh tarik at a nearby restaurant, explored the Sri Veeramakaliamman Temple (Hindu temple) and went to Tekka Market where Alicia bought a sari set as she would be going to Sri Lanka soon, in December, to take part in the Inter-Continental Beauty Pageant. In Little India: A visit to Sri Veeramakaliamman Temple after some shopping at Mustaffa Centre. 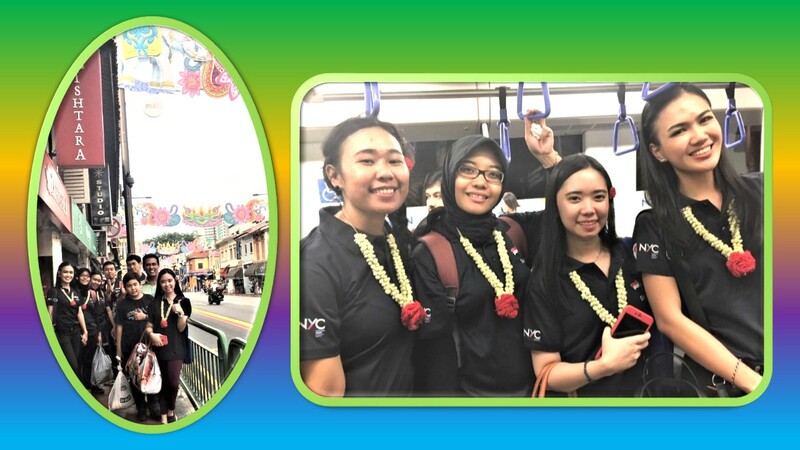 A train ride from Tekka (Circle Line) MRT Station to Tanah Merah (East-West Line) MRT Station: A long and enjoyable experience for the Indonesian youths. Three birthday celebrations in a row – wow, how lucky she is! Oh! I should have told earlier. She’s my dear wife, Khairon Mastan. Age? I did ask her how young she is this year, but she didn’t want to tell me. It’s secret, she said. Writer SK’s family: Muhammad Imran, Shuhaila, little Nur Iffah and SK celebrating his wife’s (Khairon’s) birthday with a cake they brought for the celebration. 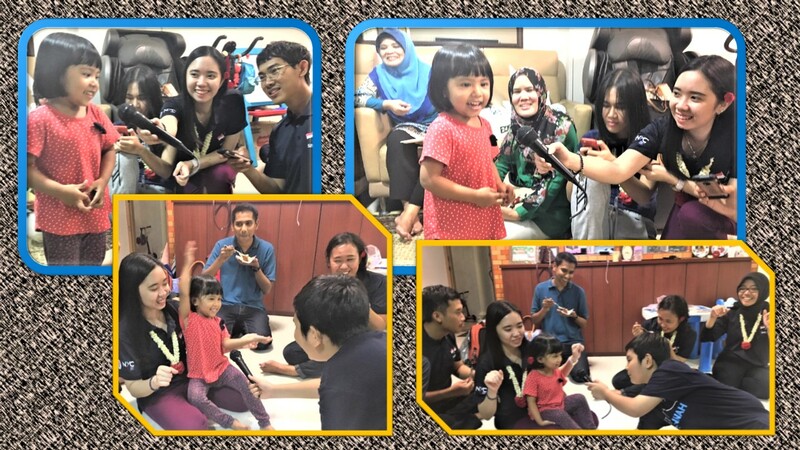 First, there were just five, all my family members: The birthday girl and me, and my son, Imran, his wife, Shuhaila and their daughter, Nur Iffah. It was a surprise – Shuhaila and Imran came out of my kitchen with a cake, like magic, and placed it on the table for the birthday girl to blow the lighted candles but our granddaughter extinguished the flames with just one powerful blow. That was on Wednesday, 15 Nov – Khairon’s Great Day. 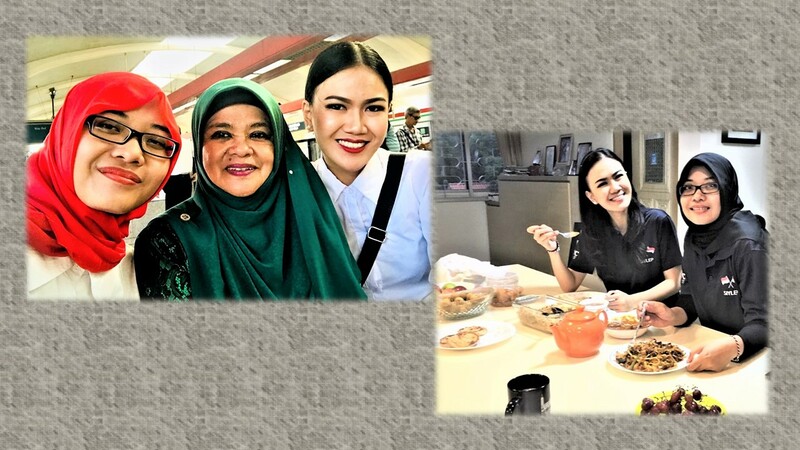 First, there were two Indonesian foster children, Ratna Widya Iswara (with headscarf) and Alicia Beverly Weley, who celebrated Khairon’s birthday without a cake. 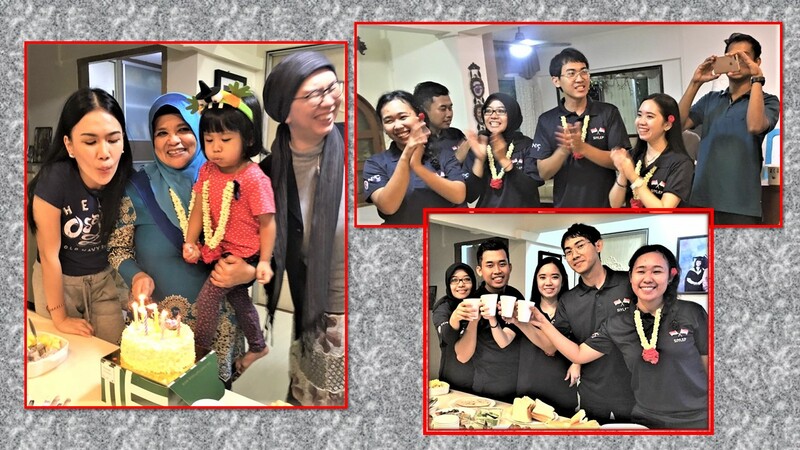 A day later, on 16 Nov, the two Indonesian girls – Ratna and Alicia – who came for a 3-day homestay with us, celebrated Khairon’s birthday without a cake. Eh! Must there be a cake? With candles on top of that – in the age of electricity? The cake, if it’s so important, would be better if it’s sugarless, now that Singapore is Number 1 in diabetes and we won’t mind coming last in this “health issue” race and get a wooden or clay medal or no medal at all. 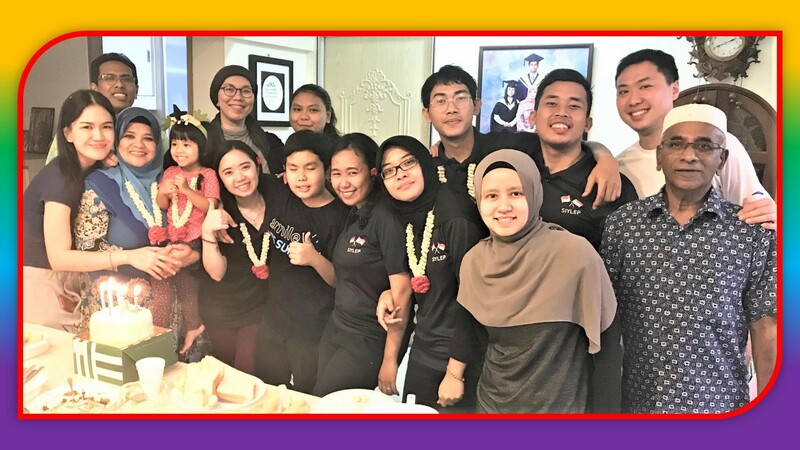 Two more Indonesian youths, both boys – Muhammad Indra Ramadhan and Faiz Rabbani – joined us to celebrate the birthday on Thursday evening, 16 Nov. The visitors were accompanied by Mr Yacob Hussain and Mdm Sri Zuraida. Sri and her 9-year old son, Muhammad Hazrul Malik, came an hour later with a surprise – a cake, sponsored by Sri and Yacob. 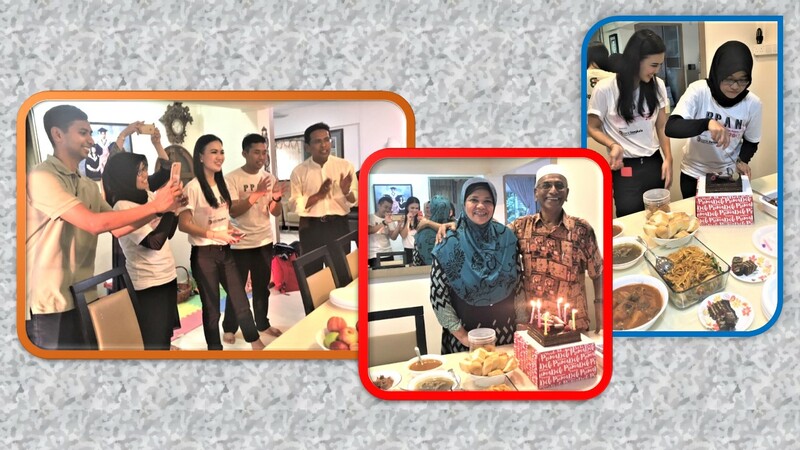 Faiz Rabbani and Muhammad Indra Ramadhan with their foster parent, Mdm Sri Zuraida, and Mr Yacob Hussain together with Ratna and Alicia celebrating Khairon’s birthday. Faiz is standing second from right while Indra is seventh from right. In the oval photo, Yacob is taking food to serve Sri who is seated on his left. There was a variety of food, even chapati, to relish. Imran’s wife and daughter too joined us. 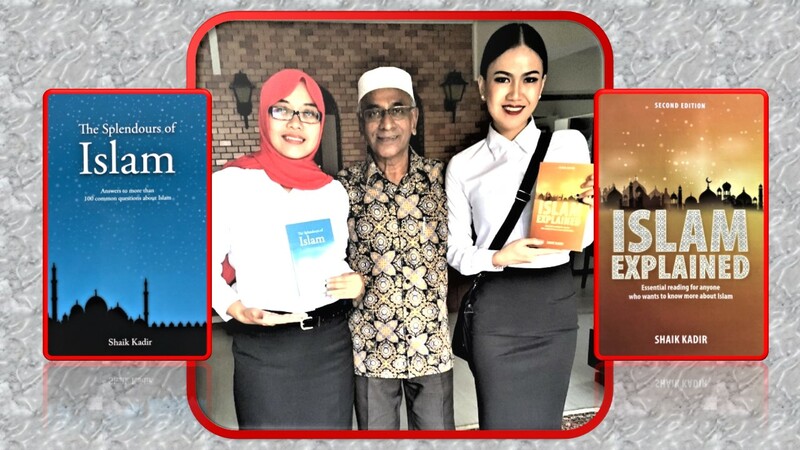 On Friday afternoon, 17 Nov, another two youths, both girls – Jerni Rinova Panjaitan and Jesika Rozella – visited us. They were the foster children of Mr Desmond Yew. That evening a third surprise greeted Khairon and all others. Yacob’s wife, Mdm Keiko Soeda, a Japanese, came with a cake to surprise Khairon. Their 10-year old son, Muhammad Yasir Yuuta and their 16-year old daughter, Zahrah Yuko, came along. My son, Imran, and his family too were present, so was Sri. 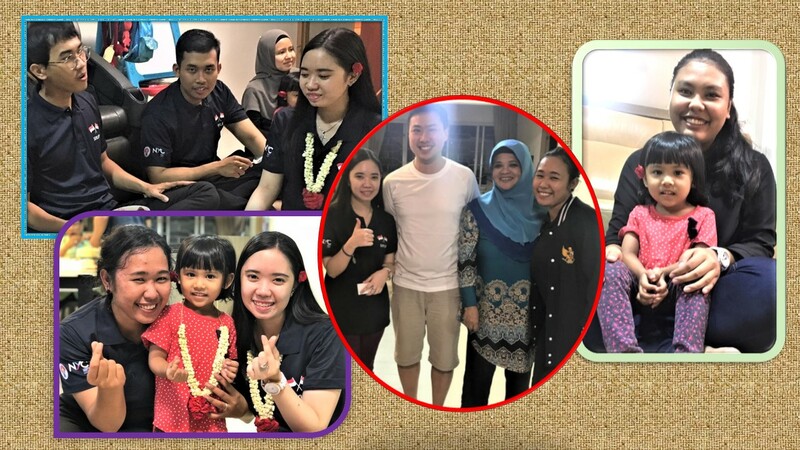 Holding SK’s shoulder is Mr Desmond Yew, foster parent of the additional two Indonesian youths, Jesika Rozella (on Iffah’s left) and Jerni Rinova Panjaitan (third from Iffah). Cake-cutting, birthday song and doa, clapping and cheers enlivened the occasion. And it looks like health-conscious Keiko (wearing black headscarf) does not want to get tempted by the cake in the “cake-cutting” photo. Some in the group must have eaten more than one slice of the cake. Now, tell us frankly with your fingers – how many slices of the cake did you eat? It was a cheerful celebration, a grand birthday bash, the third celebration with cake within a week. “I really enjoyed the birthday cheers and the birthday wishes and doa. I thank everyone, especially the sponsors of the three cakes. Wow! How lucky I am this year!” remarked my wife with glee. All the six visitors together with their foster parents enjoyed the time spent at my home, the last evening of the guests’ stay in Singapore. Jesika and Iffah entertained us with songs and dances. It was a fun evening full of laughter. As time approached for the other four youths to leave for their foster parents’ homes, Mr Yacob Hussain, Deputy President of SSEAYP International Singapore who was with us enjoying the evening’s fun, requested each of us, both the youths and their foster parents, to say a few words about their stay in Singapore for “tomorrow we part”. Every one did, except little Iffah, who was too sad to say anything. What is homestay if the homestay guests do not spend time at home with the foster-parents and learn about their food and lifestyle. Ratna and Alicia did. 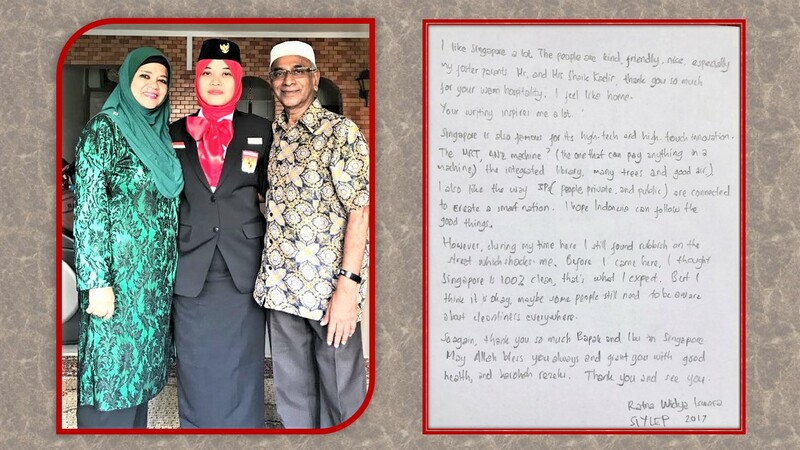 They looked through the album of my past homestay youths, the books I have written and the 12 volumes of my articles that have been published in various local and overseas journals. “Your writings have inspired me to write, and when I return to Indonesia, I would want write,” said Ratna. Indeed, I’m happy that Ratna has been motivated to write in her spare time. 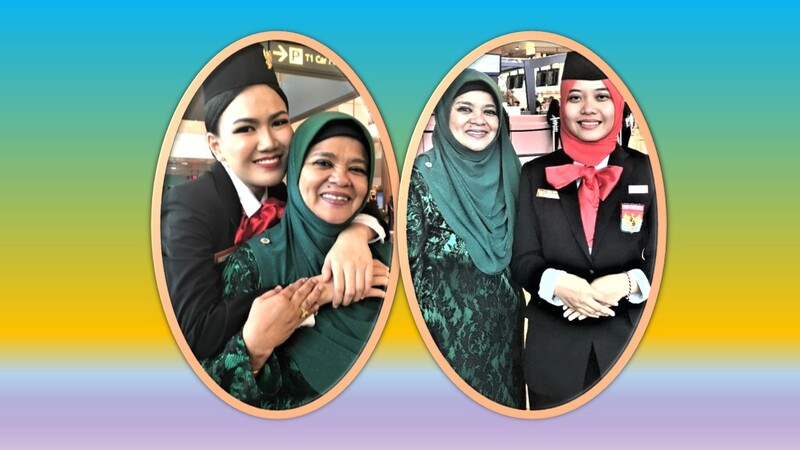 In such homestay programmes, the foster parents would sometimes happen to bump into each other at some places of interest when we take them out or meet at the airport. Here are some photos of the other homestay youth leaders. A nice skyline of the city from the vicinity of the Gardens by the Bay: Mr Michael Ho Peng Choy with his foster children (from left) Yan and Tetan. 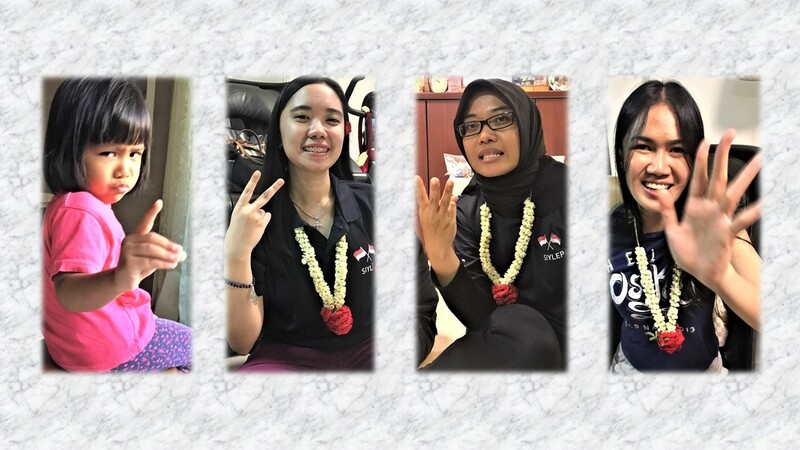 At Sentosa: Mdm Yurlina Yusuf with her foster children (from left), Indah, Yossy and Emmi. 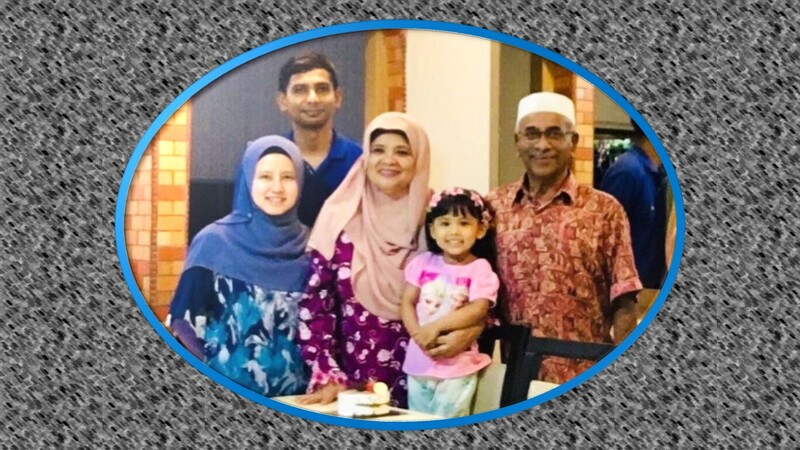 Hosts Mr Zakaria Shariff and his wife, Mdm Hadijah, with their three children (from left) Ulan, Khanis and Anggun at the Civil Service College to fetch their foster children. The oval photo shows Mr Muhammed Agus Othman with four of his foster children (from left) Deny, Muklis, Gabe and Ramadani. In the morning of the third day, my wife and I sent off Ratna and Alicia to the airport where we met the others for a final get-together. The reunion at the airport was all happiness and sadness. 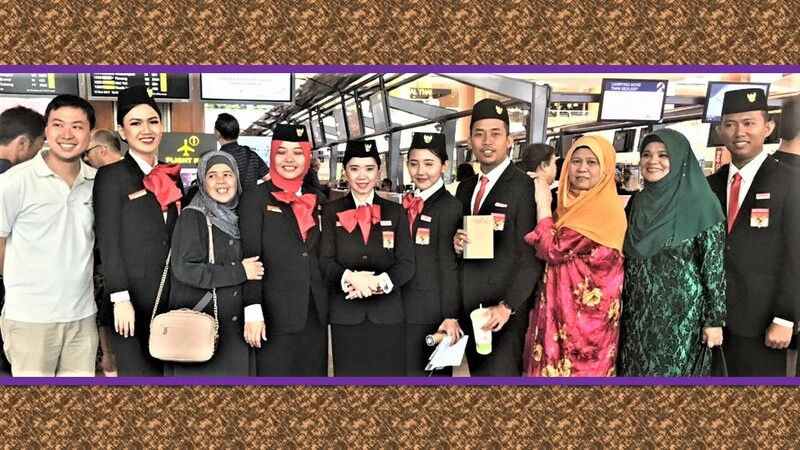 Some of the Indonesian youth leaders and their foster parents at Changi Airport to bid farewell to their foster children. Happy and sad moments for the youths for soon they would leave their foster parents. All the Indonesian youth leaders and all the Singapore foster parents could not keep the youths in Singapore for another day again (to be read in Humpty Dumpty rhythm). The last hugs and goodbyes before departure: Host Khairon with her foster children, Alicia Beverly Weley (left) and Ratna Widya Iswara. 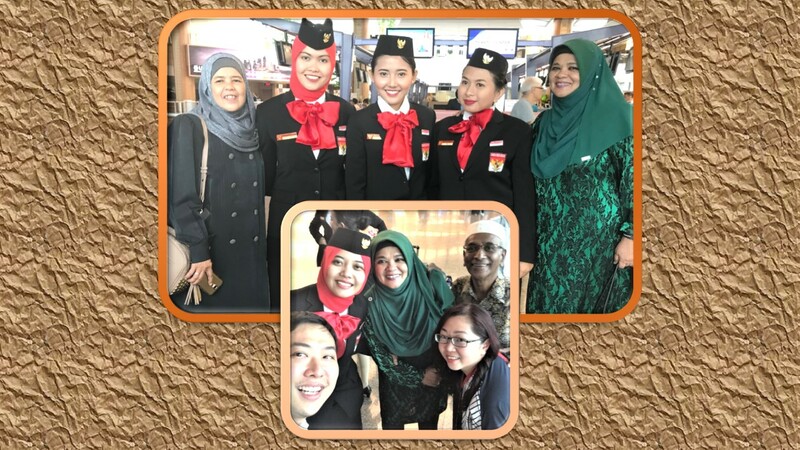 At the Departure gate, there were handshakes, hugs and salam, and, as always in such sending-off situation, the parting was overwhelmed with sadness. We enjoyed hosting these youths and likewise they enjoyed their stay with us. And this is our happiness. When we returned from the airport we saw Alicia’s and Ratna’s messages which they had left on our table moments before we left for the airport. city is clean and very structured. Smart city, smart people! for your warm hospitality. I feel like home. Your writing inspires me a lot. Singapore is also famous for its high-tech and high-touch innovation. health, and barokah rezeki. Thank you and see you. 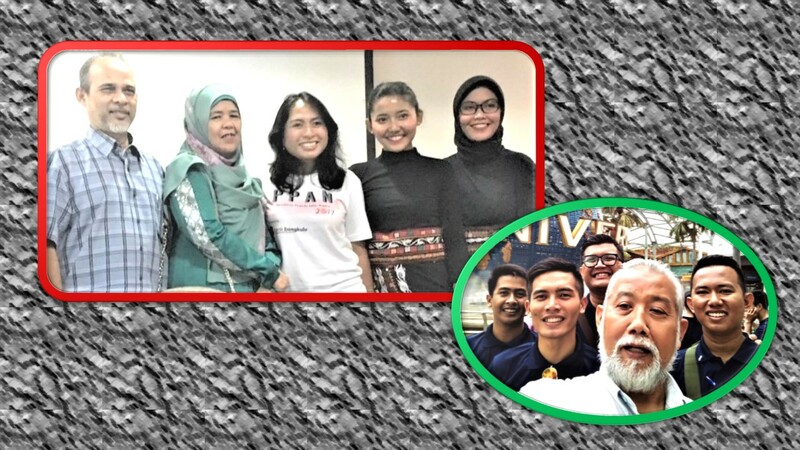 From Singapore, the youths flew to Jakarta and the following day left for Riau (Sumatra) where they spent a few days for further leadership training which ended yesterday. One of Desmond’s foster child, Jerni Rinova Panjaitan, sent a beautiful photo of the group taken in Riau, shown below. Photo from Riau: A beautiful group shot for remembrance of the end of their leadership training programme. On behalf of all the other foster parents, I wish all the 20 youths all the best in their future endeavours. We hope many of them would come back to Singapore in the future to relish in Singapore’s gorgeous atmosphere and meet up with their foster families. 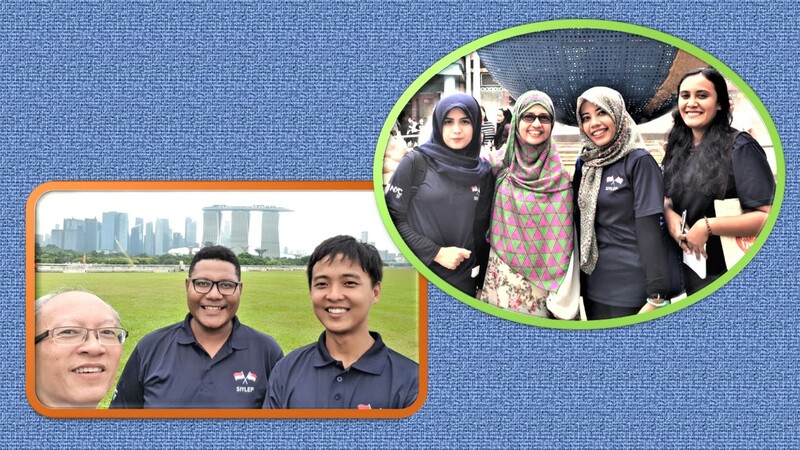 This entry was posted in General interest (Wide-ranging), Uncategorized and tagged Singapore-Indonesia Youth Leaders Exchange Programme (SIYLEP). Bookmark the permalink. Thanks dear Jesika for coming to my place and having some fun with my family members. We love you as our foster daughter. Come to Singapore again when you are able to, and stay with us. Some of your friends are already my friends on Facebook and even created WhatsApp with me. Make yourself available on these two social media platforms, too. Take care, and contact me always.